May 16, 2016 / Marseille, France & Madrid, Spain / McKay Brothers International (MBI) has added new points of presence in Marseille and Madrid. 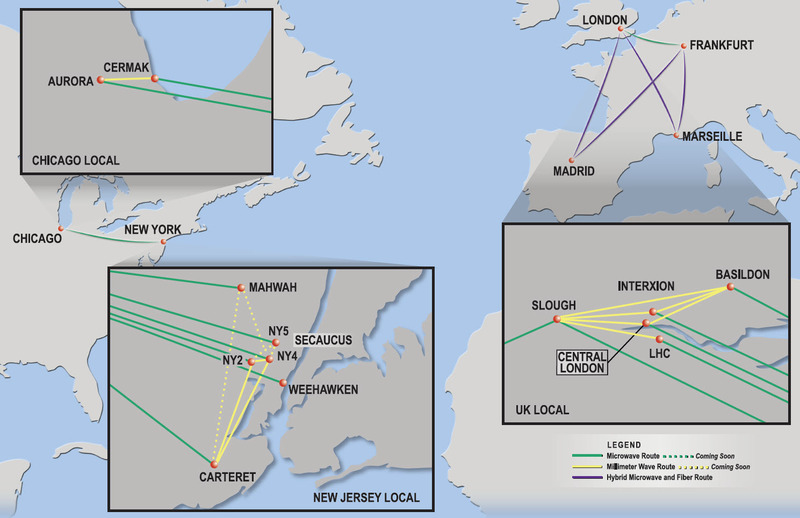 The new POPs are receive sites for MBI’s private bandwidth subscribers who transmit from Slough-LD4, Basildon and Frankfurt-FR2. Marseille and Madrid are also distribution POPs for the Quincy Extreme Data (QED) service. 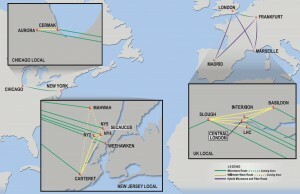 The bandwidth and market data services offer the lowest known commercial latency. For example, select futures market data sourced in Aurora, IL is distributed in Marseille in 41.552 milliseconds and in Madrid in 43.978 milliseconds (one-way). The QED service distributes a broad range of select Illinois-sourced futures at the two POPs. Of particular interest to traders in India and the Middle East are the select Metals, Energy and FX futures distributed in Marseille. The QED service also distributes select Frankfurt-sourced Equity Index and Interest Rate futures in Madrid and Marseille at the lowest commercially available latency. The QED service distributes market data from more exchanges than any microwave market data service. QED offers select data from eleven exchanges in the US and Europe and has more in development. The company’s sixteen points of presence are located at major trading hubs in Illinois, New Jersey, the UK, Germany, France and Spain. McKay Brothers International, SA is a proven provider of private wireless bandwidth and the leading distributor of extremely low latency microwave market data. The Quincy Extreme Data service is an integrated and normalized feed of select market data sourced from multiple financial exchanges globally and is offered in exchange colocation centers around the world.